Big Shot Injector Plate, w/Jets & Plumbing, Holley Square Bore, V8 - Assure a steady, precise metered flow of nitrous and fuel for reliability. Backed with years of laboratory research, as well as dyno and drag strip testing. NOS Injector Plates are available for those who want to build their own system or upgrade their current nitrous system without having to go through the expense of a new complete system. Unless specified, NOS Injector plates incorporate a low profile (1/2" thick) design and are constructed of solid billet or die cast aluminum with a durable black finish. 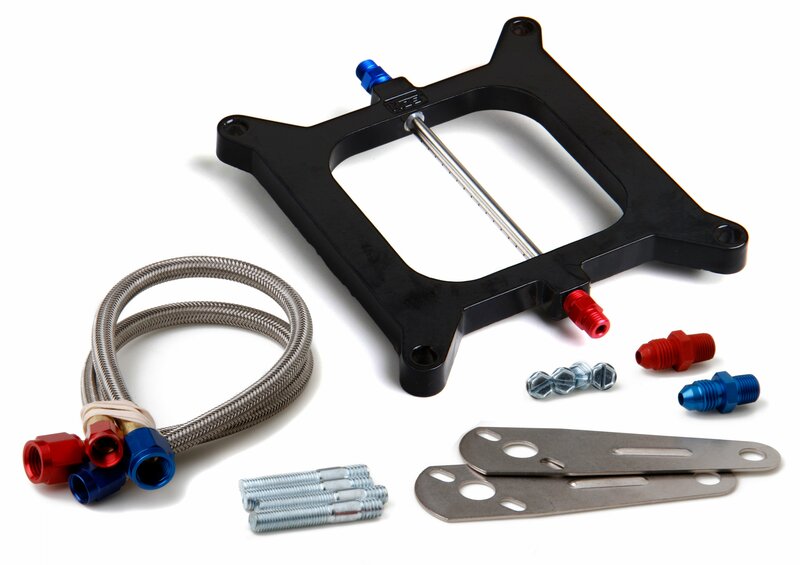 Included are all applicable gaskets, studs, jets and plumbing.